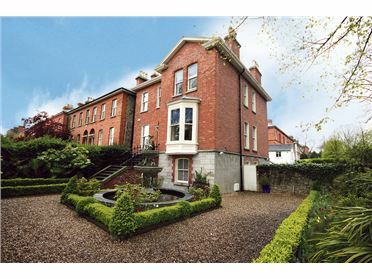 Estate agents Douglas Newman Good have increased the price of their head offices in Ranelagh, Dublin 6 by €250,000 today. The property at 30 Leeson Park went on the market for €2.5 million earlier this year but DNG dropped the price by quarter of a million euro at the start of June. Today though, they increased the value by the same amount to bring it back to its original selling price. The two storey over garden level Victorian period residence is situated on the corner of Leeson Park and Northrook Road. While currently used as DNG’s offices, it could easily be converted back into a home. To follow all price increases or decreases check out MyHome.ie’s price change feature. Step 1. Advertise property, but it is overpriced and it does not sell in declining market. Step 2. Reduce price, it still not sell as market declines to a new low. Step 3. Brainwave; increase price to original non-seller level. Now we have definitive proof of the greed and arrogance of Irish Estate Agents and their never ending belief in the gullibility of at least one member of the house buying public.